Our summer season has been filled with pool parties and a lot of barbecues. 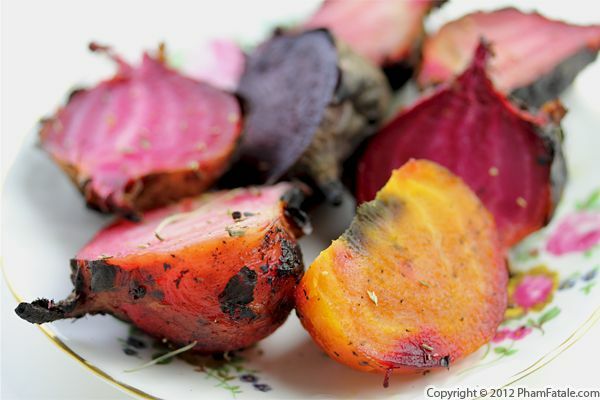 Grilling vegetables and meat is usually what makes the meals, but who doesn’t love all the yummy side dishes as well? 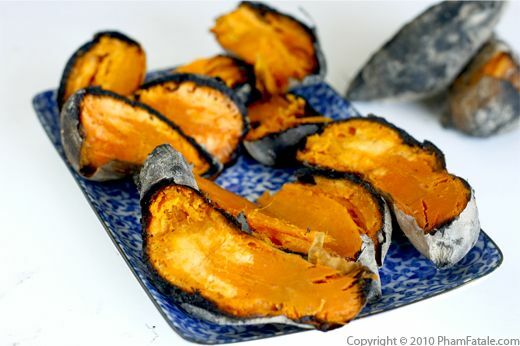 If you’re looking to make something besides potato or pasta salad, here’s a delicious and not so ordinary suggestion: baked sweet potatoes, cooked in the coals or in ashes. Sweet potatoes are so much healthier than regular potatoes and the kids love to scoop the smooth and velvety sweetness. 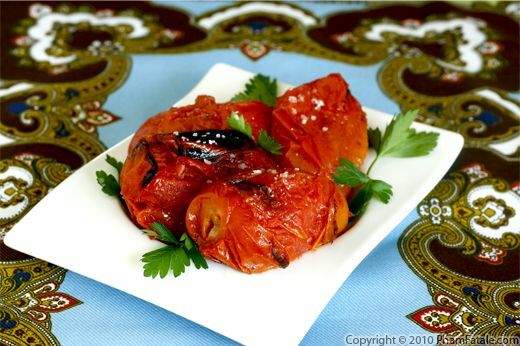 This tomato recipe is simple but so flavorful. I always make it when we barbecue. Unfortunately, this year was horrible for the tomatoes from our garden. Lulu planted two dozen tomato plants. I was so ecstatic about getting sweet, juicy tomatoes, but the gophers killed all our plants. If you have a cure for a gopher infestation, please send me a message. Anyway, since we didn’t have enough from our garden, I bought plum tomatoes from the farmers' market for our 4th of July barbecue. Grilling tomatoes only requires skewers, garlic, oil, salt and pepper. To make it more flavorful, I thread the tomatoes onto oregano sprigs. Once the tomatoes are cooked, I drizzle them with shallot vinaigrette. They're best when they're still warm. Yum!